Ben grew up in the Cambridgeshire Fens, whose expansive skies, mysterious light, and sense of isolation continue to be a source of inspiration in his creative output. Ben’s father is a skilled concertina player and folk singer, and whilst he has plenty of memories of growing up around folk music, his was a somewhat circuitous route to playing folk music. As a child and into his early adulthood Ben was a skilled cornet player, playing numerous concerts and contests with local brass bands every year. He took up the drums at 8, was gifted Led Zeppelin I, II, III & IV for his 9th birthday by his older brother (a cornet player who went onto find his musical home with the melodeon), and by his early teens was spending most weekends gigging local bars and clubs with rock bands. It was Bert Jansch who first turned his ear to his father’s music. Finding himself borrowing his vinyl of Rosemary Lane over and over until hours spent hunched over an acoustic guitar seemed an inevitability. Ben studied music & sound recording on the prestigious Tonmeister degree but felt increasingly drawn to playing music over recording and producing. He put a note in the free-ads saying he’d play acoustic guitar for anyone who’d listen and within a week had formed The Willows. With The Willows Ben has written and co-produced two acclaimed albums to date: Beneath our Humble Soil, and Amidst Fiery Skies. His love of narrative and attention to emotional detail shines through in songs such as Absent Friends, Johnny Robson and The Visitor. The band toured tirelessly in their early years, opening for the likes of Lau, Seth Lakeman and Richard Thompson and appearing at just about every UK folk festival going. Ben’s love of music is wide – he is as inspired by American Roots music as with English folk. This is no better expressed than in his melodic and subtle dobro playing. Ben studied with Sally Van Meter and in addition to his work with Hannah and The Willows, he’s recorded dobro for Brooks Williams and Megson among others. Ben plays a mahogany E-model dobro made by Paul Beard. But it is his unique and distinctive guitar playing that sets his musicianship apart. Primarily a fingerstyle guitarist working in alternative tunings his deep respect for musical space shines through in his sensitive playing. Ben alternates between a 1930s Gretch archtop, a Taylor 314 and a 1930s Kalamazoo L-30 parlour archtop guitar. When he’s not consulting on recording studios across the world, or gigging Ben is a lover of modernist poetry and cider making. Hannah grew up in Norwich surrounded by music. She was lucky that her parents’ eclectic musical tastes meant she had as much exposure to 60s soul and rock n’ roll as she did to traditional and folk music. Although singing was always her first musical love, Hannah tentatively took up the guitar in her late teens. At the time she was travelling in the family bus and singing folk songs on the streets of Europe. With The Dunns as they were known, Hannah travelled across Europe as part of the array of street performers making the annual exodus of European trails. Busking folk songs with her family is where Hannah found she had an unusually flexible vocal range. The family eventually settled back in Norfolk where they worked as street performers, at times for English Heritage and across UK festivals with their unique style of unaccompanied folk singing. Hannah’s love of folk songs stems from this heady time travelling and singing but she left music for a while and went on to Norwich School of Art & Design to study with poet George Szirtes. Hannah stayed on to complete a pioneering PhD on contemporary teenage witchcraft. But never one to stand still for long, her wanderlust soon took her across the sea to America where she lived for a time in New England, teaching and publishing. It was at the tail end of her time in New England that Hannah found her way back to music – inspired in large part by a chance encounter with the mountain dulcimer that led her to take up the instrument as an alternative to her guitar accompaniments. Dulcimer luthier Ron Ewing made Hannah’s bespoke 4-string baritone and Hannah plays an Eastman E20 parlour guitar. A chance meeting at an Irish session in Boston opened the door back to music as Hannah met Liz Simmons (Low Lily, EVA) and the two began to sing together. “Liz loved English trad songs – she had grown up listening to Annie Briggs and Steeleye so we had mutual reference points and instantly hit it off. I have a lot of love for Liz for showing me a path back to singing”. Hannah returned to the UK and on a whim took her dulcimer to the Black Fen Folk Club in Cambridge to sing solo. It was here that she met Ben who was at the club on an evening off from touring with The Willows. Their musical sympathy was immediately apparent and Ben went on to produce Hannah’s solo debut Charms Against Sorrow. The album was recorded in an octagonal mill in Suffolk, and in acclaimed singer/storyteller Nick Hennesey’s Lake District cottage. The album received critical praise across the UK and was championed by the likes of Mike Harding. 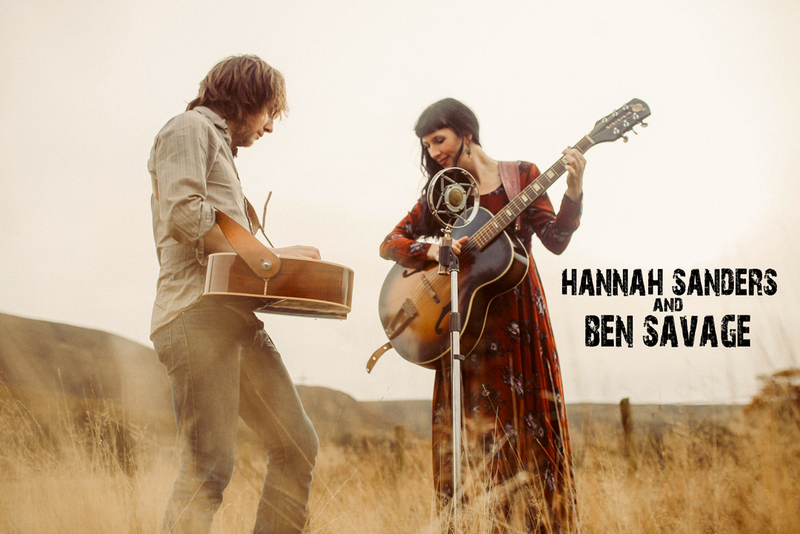 Hannah asked Ben to accompany her on some of the Charms… tour dates, which led them to discover and explore their love of songs old and new, and it was from this that material for their debut duo album of duets, Before the Sun emerged. Before the Sun was produced by award winning Canadian producer David Travers-Smith in his Toronto studio. It includes songs from both sides of the big pond, traditional & self-penned, and was highly praised in the press; nominated for a Fatea Award Best Debut 2016, BBC Folkscene Albums of 2016, the FRoots Critics Poll Albums of 2016, Mike Harding Folk Show Albums of the Year 2016, Laurel Canyon Music Best Album 2016 amongst others.